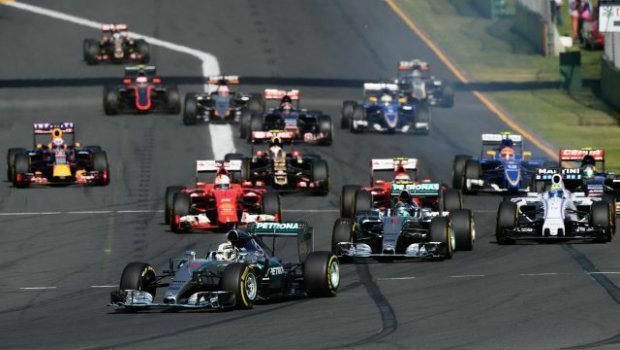 It’s destination Melbourne for the world’s fastest drivers on four wheels as the new Formula One season gets underway this weekend. Mercedes' star driver and last year’s champion Lewis Hamilton begins the defence of his title Down Under, hoping to fend off teammate Nico Rosberg in what promises to be an enthralling intra-team battle once again. After an intense dual between the pair last year, the British driver beat his German rival by 67 points in the final standings, as Mercedes comfortably ran out winners in the constructors’ championship. Such was the team’s dominance in 2014, backed up by their pre-season testing timings, they have been installed as huge odds-on favourites to replicate their speed and reliability again this time around. 888 Sports are offering 6/1 that the team win every race in 2015 – close odds for such a long shot – but this is clear evidence of their expected superiority. Having secured his second World Championship last year, Hamilton is 4/6 with Betfred Sports to claim back-to-back titles; despite these seemingly short odds, his pre-season speed suggests this represents good value. Likewise, Nico Rosberg is an extremely healthy option at 11/4 with William Hill Sports, considering how close the German ran his teammate for much of last season. The pair are 11/10 and 9/4 respectively to kick off their campaigns with an Australian GP victory this weekend. There are plenty of other reasons to get excited about the new season too, with former world champions racing in new cars. Sebastian Vettel has joined Ferrari, while Fernando Alonso has switched to McLaren. Alonso will miss the season opener in Melbourne after a crash in testing; coupled with the new Honda engine’s repeated pre-season problems, the Spaniard is a lengthy 40/1 for the title. Vettel, meanwhile, who is 19/1 with 888 Sports, is considered most likely to challenge the two Mercedes drivers. Elsewhere, Finnish Valtteri Bottas continues to impress for Williams and is 28/1 for the title with Betfair Sports, while the experienced Felipe Massa, Kimi Raikonnen and Jenson Button will be out to prove they too can still win Grand Prix races. Young guns are also aplenty on the grid this year, with 17-year-old Max Verstappen stepping into the hotseat at Torro Rosso left vacant by Russian rising star Daniil Kvyat – himself only 20 – who has left to partner Daniel Ricciardo (20/1) at Red Bull. Away from the outright odds, although Ricciardo isn’t widely expected to challenge for the title, 888 Sports have him at just 6/5 to win a single Grand Prix this year – highly reasonable odds considering the Australian won three races in 2014. For more F1 odds, visit 888 Sports today!